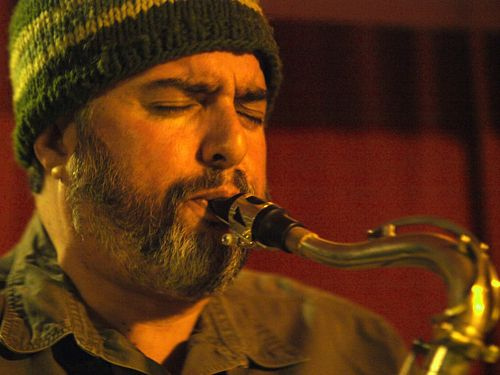 On Wednesday, September 19th, cellist Daniel Levin, saxophonist Tony Malaby, and drummer Randy Peterson. @8PM, @ An die Musik, 409 N. Charles Street, Baltimore MD. On Thursday, September 20th, Dan Weiss Starebaby, w/bassist Trevor Dunn, pianist Matt Mitchell, guitarist Ben Monder, keyboardist Craig Taborn, and leader and drummer Dan Weiss. @8PM & 9:30PM, @ An die Musik, 409 N. Charles Street, Baltimore MD. On Friday, September 21st, guitarist Joel Harrison, w/guitarists Anthony Pirog and Jerome Harris, and bassist Jeremy Clemons. @8PM & 9:30PM, @ An die Musik, 409 N. Charles Street, Baltimore MD. On Saturday, September 22nd, the Craig Harris Quintet, w/bassist Calvin Jones, drummer Russell Carter, pianist Yoichi Uzeki, reedist Jay Rodriquez, and trombonist Craig Harris. @8PM & 9:30PM, @ An die Musik, 409 N. Charles Street, Baltimore MD. On Sunday, September 23rd, Ballou, McFalls, & Olson, w/trumpeter Dave Ballou, trombonist Jim McFalls, and Steve Olson. @7PM, @ An die Musik, 409 N. Charles Street, Baltimore MD. Also on Sunday, September 23rd, Transparent Productions begins there 22nd season with “Karuna”, w/drummer & percussionist Adam Rudolph, drummer & percussionist Hamid Drake, and reedist Ralph Jones. @ Rhizome, 6950 Maple Street, Takoma DC. On Thursday, September 27th, Crump, Laubrock, & Smythe, w/bassist Stephen Crump, reedist Ingrid Laubrock, and pianists Corey Smythe. @8 & 9:30PM, @ An die Musik, 409 N. Charles Street, Baltimore MD. On Sunday, October 7th, Transparent presents double-reedist Bill Cole & tubist Joseph Daley, in duet. @ Rhizome.